If you want to learn to write well, immerse yourself in reading. Wide reading, particularly of those who write well, will help you to absorb a great deal about the craft of writing—about word choice, structure of sentences and patterns of paragraphs, punctuation, rhythm, and so on. Of course, the more you know about the technical aspects of grammar, sentence structure, style, and punctuation, the greater your pleasure in reading. 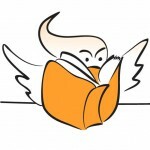 How does reading help writing? Reading and writing are intimately connected in an osmotic relationship. Don’t underestimate the immeasurable value of reading in learning to write. I was a huge, huge reader as a kid and learned just how much being a writer depends on being a reader. Before writers are writers they are readers. Learning how to be a good reader is what makes you a writer. There’s no such thing as a skilful writer who is not also a dedicated reader. Alan Bennett’s touching novella, The Uncommon Reader, is based on the belief that the right book at the right time can ignite a lifelong habit and create a ‘true bookhound’. Bennett’s book is one of those delicious books that you want to start reading again the moment you finish it. At the beginning of every new writing class I remind my students of Henry James’s advice: Try to be one of those on whom nothing is lost. Find writers whose work you admire and concentrate seriously when you are reading. Use your dictionary to look up new words that you come across. Read with a pencil in your hand and copy out great sentences by hand. Take notes. Make sure, though, that you clearly note the name of the writer and the book. I once heard the novelist Elizabeth Jolly say that she had used this technique with her creative writing students, some of whom had copied out some great lines by Shakespeare, but when they went back to them thought that they had written the lines themselves! Try to analyse what makes a piece of writing resonate with you. Imitate. Emulate. (There is a difference.) If you keep a double-entry writing journal (which I highly recommend in my book) respond to those copied extracts and analyse the techniques that their authors have used. If you’re already confident about your writing self-efficacy, that is, confident about your writing competence, reading syntactically challenging writing can be even more enlightening and pleasurable. There’s no shortage of endorsements from writers about the value of reading. Most of these apply to fiction, but many can also be applied to non-fiction. Read in order to live, said Gustave Flaubert in a letter to Mademoiselle Leroyer de Chantepie. Whether we’re reading a novel, a biography, or for that matter a book about orchids, we seek an elusive combination of pleasure, utility and intellectual stimulation, something to pique our curiosity and engage our minds. Reading enriches your life in a way that isn’t just pleasure—it actually educates you and makes you understand other times, places and ways of thought. Virginia Woolf talks about the true complexity of reading and says that we ‘read to refresh and exercise our own creative powers’. ‘The first part of reading is to open the mind wide to the fast flowing of innumerable impressions’. The second ‘is to judge and compare. This part of a reader’s duty needs . . . imagination, insight, and learning’. Reading exposes you to different writing styles. Reading helps you to sub-consciously absorb syntax, grammar, style, and punctuation. Reading helps you to sub-consciously absorb generic conventions, structure, and document design. Reading gives you increased insight and inspiration. Abigail Wise lists reasons for reading that have been substantiated by scientific research. It can boost your brain power. It can make you more empathic. Kidd and Castano argue that ‘literary fiction makes readers infer the thoughts and feelings of characters with complex inner lives’—what psychologists call ‘theory of mind’, psychological realism. Reading can help you relax and can reduce stress by as much as 68%. You might spend too much time on reading and not enough on writing. You might become intimidated by great writing done by others. You’ll see only the finished product and not how it was created. Imitation and/or emulation of another writer’s style won’t necessarily help you to become more creative, and could limit the development of your own style. One final note: while we generally read silently, Verlyn Klinkenborg suggests that reading aloud is valuable because it ‘recaptures the physicality of words. Our idea of reading is incomplete, impoverished, unless we are also taking the time to read aloud’. So, read to be happy! 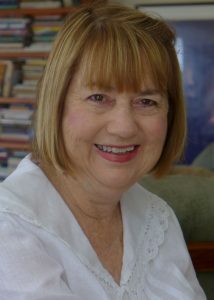 Associate Professor Roslyn Petelin initiated and designed the award-winning Program in Writing, Editing, and Publishing at the University of Queensland, and developed the hugely successful international online course WRITE101X English Grammar and Style. 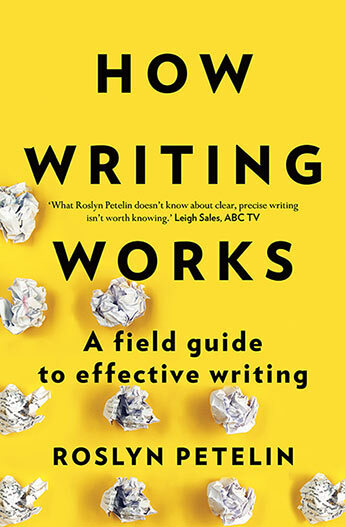 As well as being the author to How Writing Works: A Field Guide to Effective Writing, she is co-author of The Professional Writing Guide and Professional Communication, and consults extensively to government and other organisations on writing, editing, and information design. Want more writing tips? Check out our Faber Writing Academy posts and series of posts on #NaNoWriMo and your opportunity to win a scholarship on our Faber Writing Academy courses in Sydney or Melbourne.